Marinate them with black salt , ginger garlic paste , sugar and lemon juice. 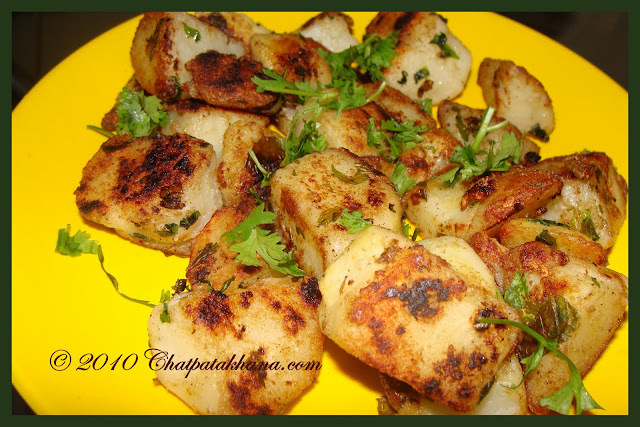 serve with green chutney as a starter or snack or chat ! You can mix some sev and tamarind chutney on that to make it more tangy. My mouth is really watering even thinking of the lovely flavors! So easy to make ! I am really looking for an easy to prepare recipe. I think I found the right one. Looks so yummy.Thanks. Looking so spicy, i really like your post, thanx for the share. I love Tawa aloo chaat, its looking really delicious, thanx for the share. This recipe is delicious, followed everything exactly. Make it several times a year and get rave reviews and requests for the recipe everytime!